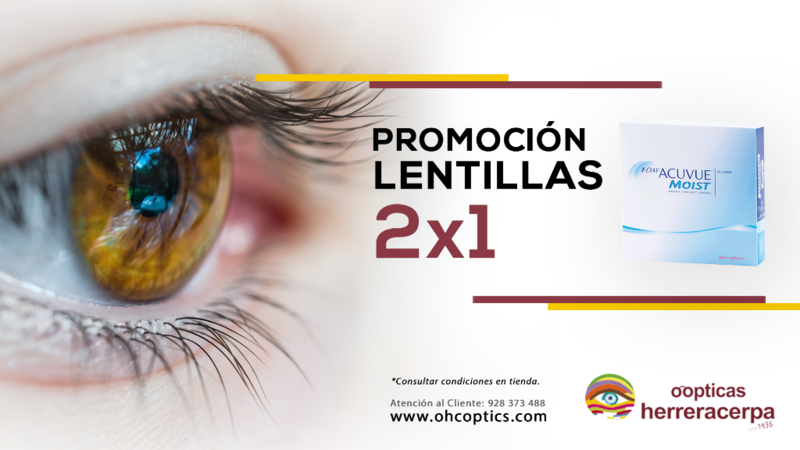 Consulta nuestras promociones vigentes y hazte con las mejores ofertas en gafas de sol, gafas graduadas, lentes, lentillas y audífonos del momento. Para más información consúltanos en alguna de nuestras ópticas o llama al teléfono de Atención al Cliente 928 373 488. 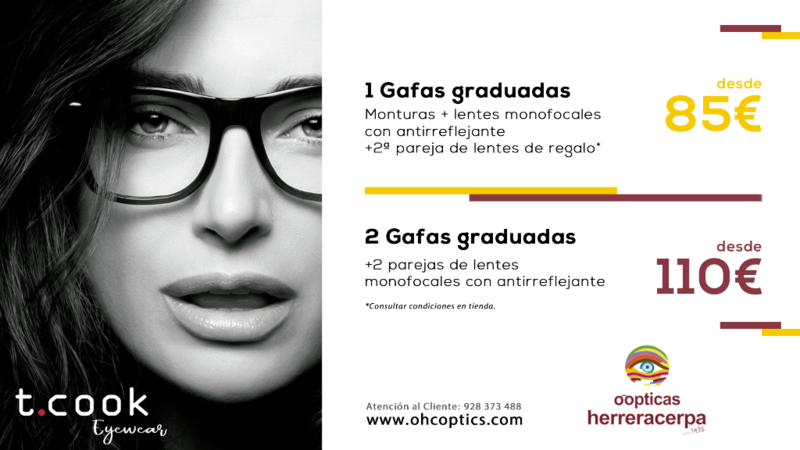 OHC Optics belongs to the Optical Shop and Hearing Centers Herrera Cerpa, a group with more than 80 years of history behind it. 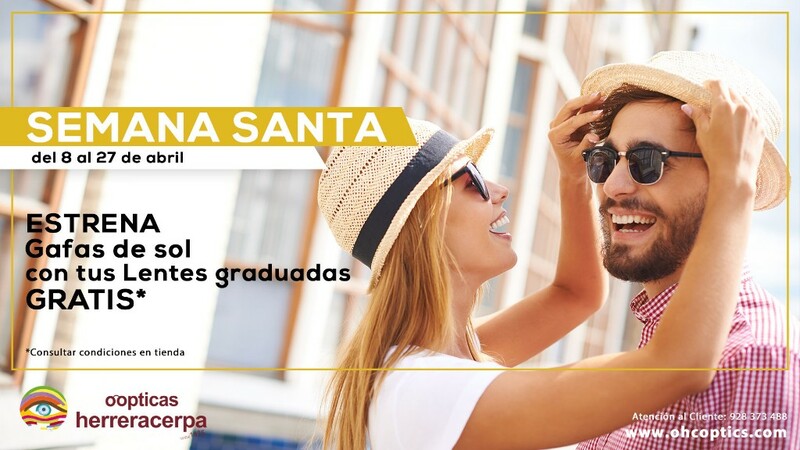 From our experience of trust we put at your disposal the best brands of graduated glasses and sunglasses like Ray-Ban, Carrera, Persol, Oakley and Carolina Herrera, among others. As we are opticians, you can also buy your contact lenses at OHC optics. If you buy your sunglasses or graduated glasses in our Optical Shop, you will not have to spend a buck to go to the latest fashion. Also, if you have doubts about which glasses to choose we will gladly help you to select the ones that suit all your needs. It was never so easy and cheap to buy glasses online as at ohcoptics.com. Just select the model of glasses you want, follow the steps and go! You can pay by credit card, Paypal or bank transfer. At Ohcoptics, we have graduated men's glasses from such prestigious brands as Emporio Armani, Maui Jim, Spy or Tag Heuer, you can also find polarized sunglasses for the most demanding ones. Within brands such as Italia Independent, Tous, Vogue or Chopard, you can find women’s glasses or sunglasses, where design plays the key role. At Ohcoptics you have at your fingertips the latest glasses and sunglasses fashion for your eyes for less money. 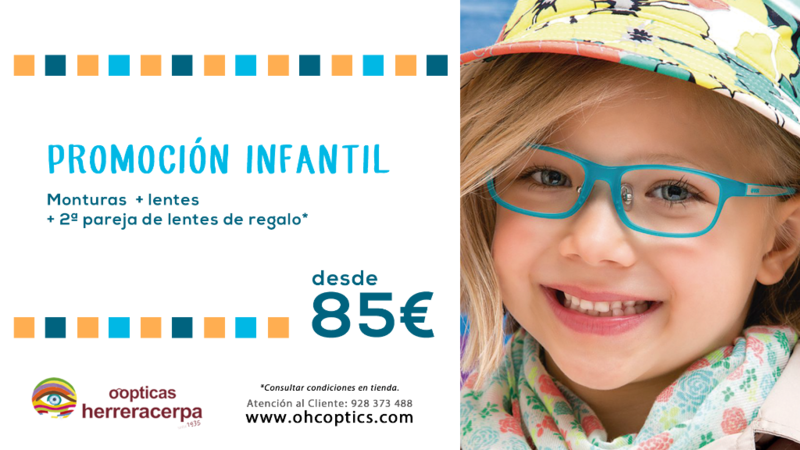 All our products are 100% original, since we are official distributors of the brands in our 8 optical shops in Gran Canaria. In our blog you will find the latest fashion trends, such as mirrored or round sunglasses. You can also follow us on our social networks to not miss anything and be aware of the latest news and offers: Facebook, Twitter and Youtube. Our company, Optica Herrera Cerpa S.A. and Centro Auditivo Herrera Cerpa S.L. with tax identification code B35604438 A35079573 and respectively, both belonging to the Group Herrera Cerpa. Registered in the Commercial Register of Registration of LAS PALMAS, FOLIO: 113, TOMO: 380, ENROLLMENT: 232 SECTION: 3rd, SHEET: 3983. Being of both companies their main address: C/ Triana 99 35002 Las Palmas (Spain). Both companies are owners of this website. Cookies are files that are installed on the computer from which you access our website with the purposes described on this page. By using social networks, some cookies for these services can be activated and thus be able to create the new account or access to it with the information contained therein. _ga y _gat: Installed by Google Analytics and with a duration of 2 years. _c_user, _lu, _s, _xs, _csm, _datr y _fr: Installed by Facebook and with a maximum duration of 2 years. To allow, know, block or delete cookies installed on your computer you can do so by setting your browser options installed on your computer. 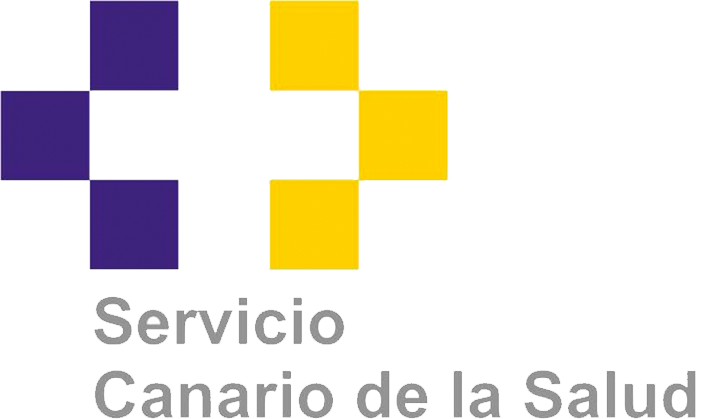 Herrera Cerpa Group, with headquarters in Triana 99 35002 Las Palmas, with this document informs users of its Internet services on its policy of protection of personal data. The information received by the GRUPO HERRERA CERPA of users of this Web site is treated with utmost confidentiality. In the case of online queries this information is used solely to respond to the issues raised. The information received is not used for any other purpose other than that for which the data were requested. For the provision of the services included in this Web site, GRUPO HERRERA CERPA may require at any given time user collect certain data that are considered essential. During data collection, the user will be informed of the need thereof. If these are not provided compulsory data will not be possible to provide such services. In relation to the data collected in the manner provided in the preceding paragraphs, the user may exercise the rights recognized by Law 15/1999, of December 13, Protection of Personal Data, and in particular access rights , correction or deletion of data and opposition if applicable, as well as the right to revoke the consent given for the transfer of data. The exercise of such rights may be made through the following email address: info@herreracerpa.es or in writing to our headquarters in Triana 99 35002 Las Palmas. GRUPO HERRERA CERPA keeps the personal data it collects and take the necessary measures to prevent alteration, loss, or unauthorized access. GRUPO HERRERA CERPA perform these duties in accordance with those established by the applicable regulations. Users of the website of GRUPO HERRERA CERPA guarantee and respond, in any case, the veracity, accuracy, validity and authenticity of personal data provided, and undertake to keep them updated. By sending data, the user accepts the assignment of the same to GRUPO HERRERA CERPA, for automated processing. The data provided will become part of an automated personal data file, which is responsible HERRERA GROUP CERPA, and meets the requirements (security, confidentiality, etc ...) of Law 15/1999, of 13 December on Protection of Personal data (LOPD). In the event that the user does not provide all the data required in the service, it could not be supplied. The purpose of the collection and processing of data is the management and provision of services requested and indicated in each case. GRUPO HERRERA CERPA does not agree to modify, disclose or transfer to third parties the information provided, without requesting the explicit prior consent. Herrera Cerpa Group provides through its website, content and information in the field of eye and ear information about the company and its construction site. The services and products harvested and offered on the website of the Herrera Cerpa Group. GRUPO HERRERA CERPA disclaims liability for the misuse of the contents by third parties and reserves the right to do so. GRUPO HERRERA CERPA rejects the responsibility for information that is not contained on this website, are created by the Foundation or expressly in writing. The links on this website may result in users not being able to take control of the GRUPO HERRERA CERPA exercises on other websites and websites of third parties and assumes no responsibility. GRUPO HERRERA CERPA is not responsible for possible security errors caused by the use of obsolete browser versions resulting from browser malfunction, whether due to insufficient configuration, presence of computers, or other causes beyond the foundation. It is also not liable for damages caused by malfunctions of computer resources (software and hardware). GRUPO HERRERA CERPA is not obligated to monitor or control the absence of viruses or elements in the content which lead to changes in the software or hardware of users or persons who visit the pages, so that they do not react to damage of any kind Can emerge from them. The user is liable for damages and / or losses of any kind, the GRUPO HERRERA CERPA, which are protected by the copyright or the copyright and trademark rights. All information contained on this website, its graphic design and its code in HTML, JAVA, JAVA Script, ActiveX, PHP, SQL or ASP are protected by copyright or other intellectual property rights. These rights belong exclusively to GRUPO HERRERA CERPA or its licensors. Internet users accessing this website may view and reproduce the information contained therein, or reproduce or reproduce them in their computer system, provided that the copied elements are not later transferred to third parties or installed on a server connected to the Internet or a local network. The user is obligated to use the content and information on the website Herrera Group Cerpa carefully, correctly and lawfully, in particular only for personal, non-commercial use, provided that you delete or change neither the content nor the mention of sources, copyrights And other data GRUPO HERRERA CERPA or third party data, ie their original form. In the event that any user or third party believes that any content contained in this site is incorporated into the same in violation of copyright or other intellectual property rights, please inform GRUPO HERRERA CERPA of these circumstances, Herreracerpa.es Including all information necessary for error correction and data to justify such a situation. This notification can also be made in writing to our head office in C / Triana 99 35002 Las Palmas. Without prejudice to the provisions set out in the preceding paragraphs, GRUPO HERRERA CERPA reserves the right to defend itself against claims under applicable legislation on advertising and copyright or other intellectual property rights. GRUPO HERRERA CERPA is in contradiction to sending unwanted commercial communications and any kind of behavior or manifestation of "spamming" defined as such activity send bulk unwanted email to a large number of recipients continuously. Consequently, the registration should not be used to enter e-mail addresses from people outside without the explicit consent of those concerned. GRUPO HERRERA CERPA understands that there is an explicit consent of the user, unless the person expressly declares something else. In the event that the user receives unwanted information from this website without your explicit consent, please contact us at the following e-mail address: info@herreracerpa.es, the cancellation of his e-mail address from our system. These conditions of use are subject to Spanish law. For the settlement of disputes between GRUPO HERRERA CERPA and the users in respect of the validity, enforcement, performance or termination of all or a part thereof, they are expressly responsible for their own jurisdiction or otherwise, as appropriate, the jurisdiction of the courts of Las Palmas. 9.95 € shipping costs for orders under 150 €. FREE SHIPPING* for orders over 150 €. 15 € shipping cost for orders under 150 €. 10€ for orders over 150 €. 30 € shipping cost for orders under 150 €. € 20 for orders over 150 €. 38 € shipping cost for orders under 150 €. 30 € for orders over 150 €. 50 € shipping cost for orders under 150 €. 40 € for orders over 150 €. IMMEDIATE SHIPPING: from 7 to 10 days. SHIPPING IN 10 TO 15 DAYS: from 12 to 18 days. In case your product is marked with the SENDING LABEL IN 10 TO 15 DAYS, your shipment may be delayed up to 15 working days, although you can be sure that we will do our best to have it as soon as possible . This small delay is due to the fact that we will ask the product exclusively for you to the factory, having the guarantee that the product has not been used by any other person. 5.95 € shipping costs on orders less than 100 €. FREE SHIPPING on orders over 50 €! IMMEDIATE SHIPPING: 5 to 7 days. SHIPPING IN 10 TO 15 DAYS: 10 to 15 days. We do not ship to Ceuta and Melilla. At OHCoptics we continuously monitor the shipment of each purchase, given the possibility that the carrier has problems finding your address or that you have tried to deliver when there was nobody at home. Once the purchase is made you can request a tracking code for your order if you want to check the exact delivery date. The customs costs are included in the price you have paid, we will never ask for an additional payment for customs, VAT or other supplements. Everything is included in the price. Payment method recommended, as it has cost adicional.Herrera Cerpa accepts Visa, MasterCard and Euro6000 cards to make payments. The validation process your card is made through the payment gateway of Bankia. In order to give maximum security to the payment system, Herrera Cerpa uses a gateway with which you can pay quickly and securely by the confidential data will be transmitted directly and encrypted to the financial institution. This method of payment has a surcharge of 3% of the purchase price. PayPal has over 230 million users worldwide and allows you to make payments to other cards or directly through your bank account. For more information visit the official site of PayPal. After the purchase will indicate the account number where you must enter the amount of the order. Herrera Cerpa reserves the right to expect the entry before sending the order and cancel the order; if the payment order in 48 hours after the purchase is performed. Remember to indicate always put as payment his or her full name to avoid confusion. This payment method does not involve any additional expense. The PVP you see reflected in the product has included VAT, eliminating any extra paid at the time of delivery charge. The discount codes are not cumulative. If at the time of your order is not satisfied, it has a term of 14 days, counting from the date of receipt to implement the right of return. To make the refund, the product must be in perfect condition in its original packaging and manuals, accessories or promotional gifts included where appropriate. Upon receipt of the merchandise in our stores, and after checking the status of it, we will proceed to refund the amount according to the method of payment by the customer. the selling price of the product being paid excluding shipping expenses occasioned which will take over the client. return or exchange defective products and incorrect shipments, with Herrera Cerpa who will pay the shipping costs if the client communicates this circumstance and ship the product within 14 days from the date of receipt shall be allowed Shipping. OHCoptics guarantees your sunglasses against breakage caused by defects in material and workmanship detected for a period of two years from the date of delivery. Striped lens is considered normal wear and are not covered by the warranty, unless you prove that the product had this defect at the time of delivery. The security provided for in the contract provided by law for products purchased by consumers is without limitations. A representative of our company will be happy to help you in your application warranty / repair. If sunglasses are returned and our experts state that the break is due to a defect in material or workmanship, the glasses will be repaired or replaced, and returned in the shortest possible period and shipping charges are reimbursed. If the damage is not due to a defect in material or workmanship, may apply additional repair costs. In this case, you will receive a notification of the additional costs through email or phone. You will have the option to accept these costs and to repair your sunglasses, or request that the us restore. Except in cases of diverse and express indications in this warranty policy, OHCoptics makes no representations or warranties regarding the site or any product you have purchased through the website for any purpose and expressly disclaims any warranty expressed, for example, any warranty of fitness for a particular purpose, to the maximum extent permitted by applicable law.